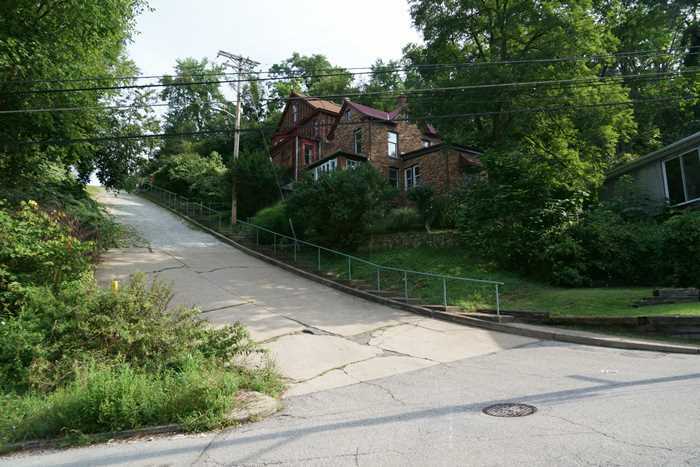 Canton Avenue: Steepest Street in Pittsburgh… and the World? Tucked away in an unassuming neighborhood in Pittsburgh, you’ll find a street that has landed in the record books, but it hasn’t been changed by that fame. Canton Avenue is still very much a tiny middle-class neighborhood street, humbly climbing a hill, as if the world isn’t watching. But make no mistake — Canton Avenue is, without question, the steepest street in Pittsburgh, probably the United States, and possibly the world. You’ll find Canton Avenue in the Beechview neighborhood of Pittsburgh’s South Hills. From downtown Pittsburgh, take I-376 through the Fort Pitt Tunnels, then immediately exit onto US 19/Banksville Road. The third left turn will be Coast Avenue — take it, go up the hill, and you’ll find Canton Avenue on the left. … including this one. 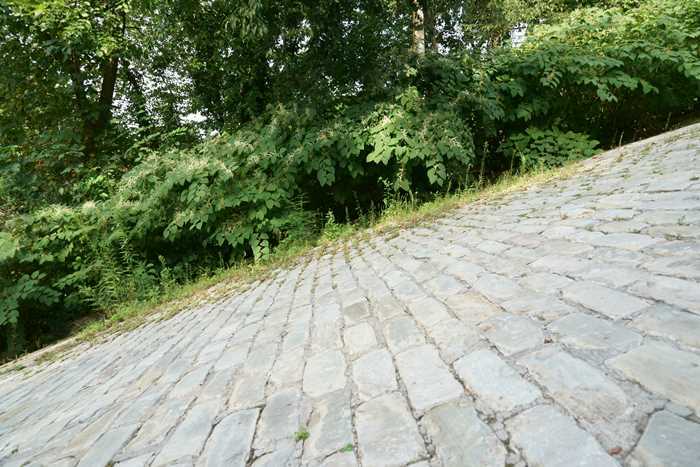 That really is how steep it is. 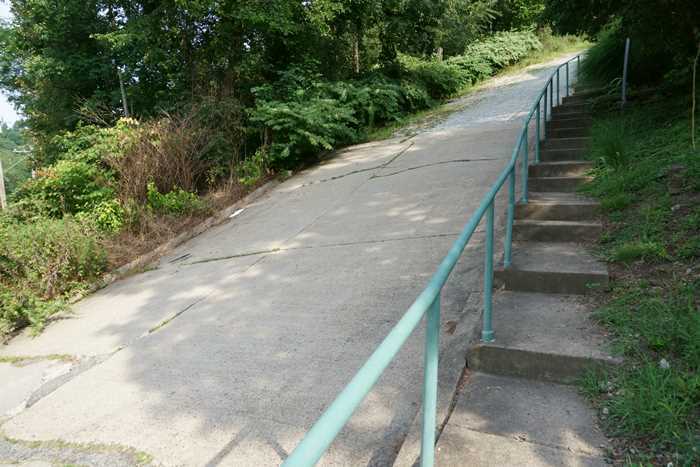 Some tire marks on the pavement attest to the challenge of getting up this hill. At the top of the hill, you discover that this small portion of Canton Avenue is one-way. This restriction is probably a good idea — it could be tough to stop at the bottom — but I saw at least one car ignore the signs and drive down the hill during my visit. Apparently, if you’re making a commercial, you can also ignore those one-way signs. Aside from the street itself, there isn’t much else to see at the steepest street in Pittsburgh. The rest of the area is just a run-of-the-mill Pittsburgh neighborhood. 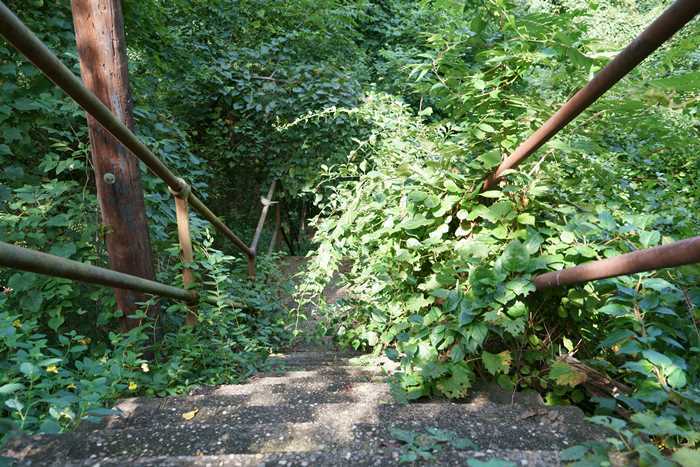 I did, however, spot these overgrown steps near Canton Avenue. Once essential for the neighborhood, they are now forgotten. It seems like every inch of Pittsburgh is crammed with neat places like this. 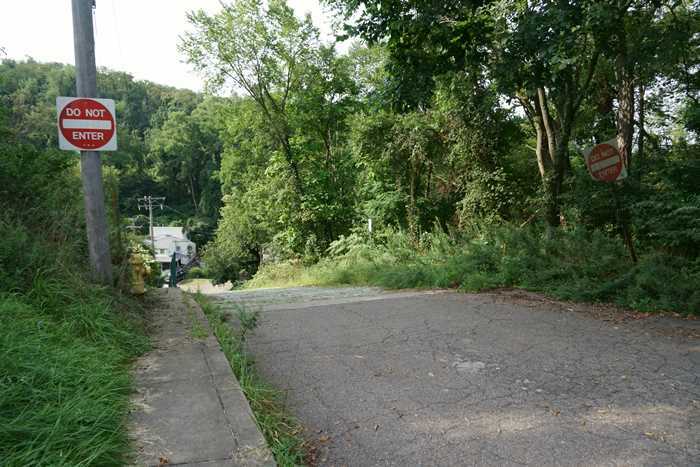 If you’re in Pittsburgh, and you like to seek out unusual attractions like this, then you need to stop by and see the steepest street in Pittsburgh, and maybe the world — Canton Avenue.